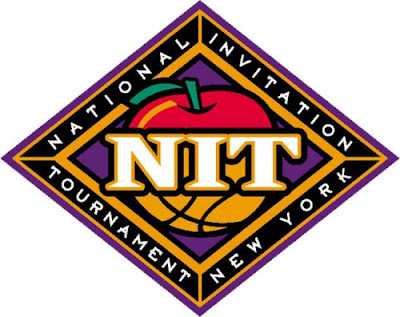 The NCAA tournament may be a mile wide and an inch deep with only a handful of standout teams, but the NIT has as deep a field as it has in many years. That said, two bubble teams from power conferences who were passed over Sunday in favor of a pair of mid-major teams from their own states - The Crimson Tide and the Hokies - were relegated to the 32-team NIT. Alabama and Virginia Tech missed the Big Dance while Virginia Commonwealth and Alabama Birmingham went dancing. Alabama and Virginia Tech were joined as No. 1-seeded teams by Colorado and Boston College on Sunday night, two more teams that had high hopes of playing in the NCAA tournament. They'll play host to first-round games Tuesday and Wednesday, with the championship game March 31 in New York City. Miami made the NIT field as a #2 seed, but Maryland did not make the field. Labels: ACC Basketball, Boston College, Duke. Virginia Tech, Miami, N.I.T.